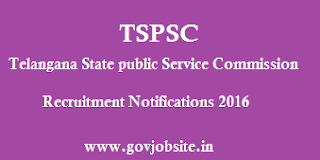 TSPSC Telangana State Public Service commission has released recruitment notification for different jobs we see the posts and notification details. TSPSC Telangana State Public Service commission has released GROUP - II notification for 439 vacancies in Telangana State. Name of the posts: Municipal Commissioner Grade -3, Assistant Commercial Tax Officer, Sub Register Grade-2, Extensional Officer Rural development and Sub Inspector -Excise posts. TSPSC Telangana State Public Service commission has released recruitment notification for Agricultural Extension Officer Grade -2, for 311 vacancies in Telangana State.